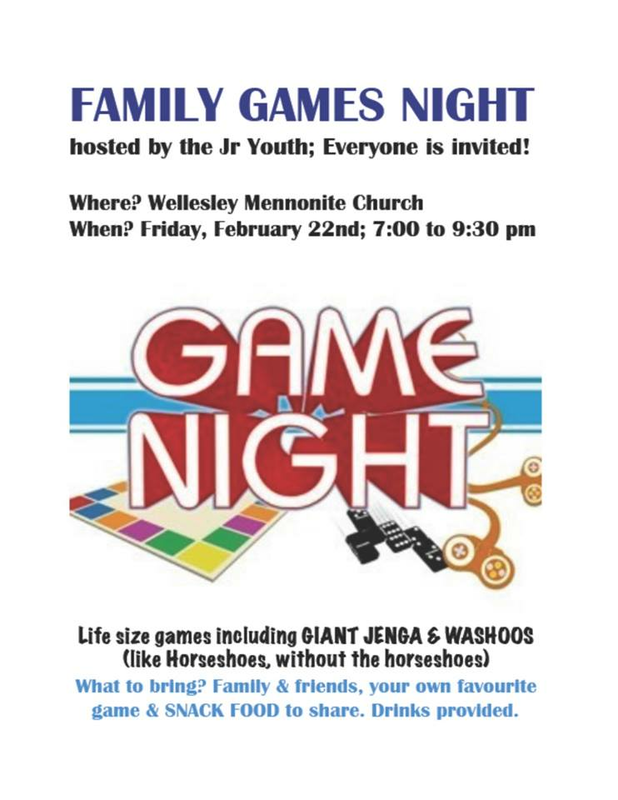 Family Games night hosted by the Jr. Youth of Wellesley Mennonite Church. Bring your favourite game and snacks.